H. A. Groenewegen-Frankfort in October of 1941. She would become known as an expert on ancient art, but Henriette Groenewegen first studied Greek and Chinese philosophy at the University of Amsterdam, where she met her future husband Henri Frankfort, one year her junior and a student of several fields such as history, ethnology and Chinese religion. They became engaged in 1920 but before they married, Hans, as he was known, traveled to London to study with the Egyptian archaeologist Flinders Petrie, who subsequently took him to Egypt to work with him at Qau el-Kebir. Upon his return Frankfort completed his second M.A. and married Jettie. They spent 1924-25 in Athens at the British School of Archaeology where Hans wrote his doctoral dissertation. For the next thirteen years the Frankforts worked together on archaeological expeditions in the Near East up to six months every year. From 1925-26 Frankfort directed the excavations of London’s Egypt Exploration society and from 1929-37 he was the field director of the Oriental Institute of the University of Chicago’s Iraq Expedition in the Diyala River Basin and the Assyrian city of Khorsabad. It was during this time that Jettie acquired her knowledge of ancient Egyptian and Mesopotamian art and culture. Jettie acted as camp manager for the expeditions, and one year had to begin the expedition without her husband due to his illness during its first six weeks, and she was recalled as a skilled excavator. The war interrupted this life and Frankfort taught more at Chicago. Jettie stayed in Europe in 1939 working with the Red Cross, but by 1941 had to flee back across the Atlantic to join her husband and son. By 1948, when Frankfort was offered a professorship at the University of London, the couple returned to living in England. In 1951, Mrs. Frankfort produced her best known book: Arrest and Movement, an Essay on Space and Time in the Representational Art of the ancient Near Eas, which saw many reprintings. She would later produce a less analytical art book for popular consumption. 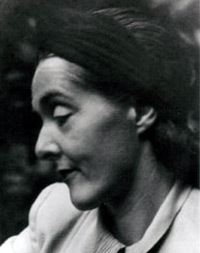 Acknowledged by her husband for her intellectual stimulation and helpful collaboration with many of his books, Jettie Frankfort was crushed by their divorce and led a reclusive life until her death in 1982.